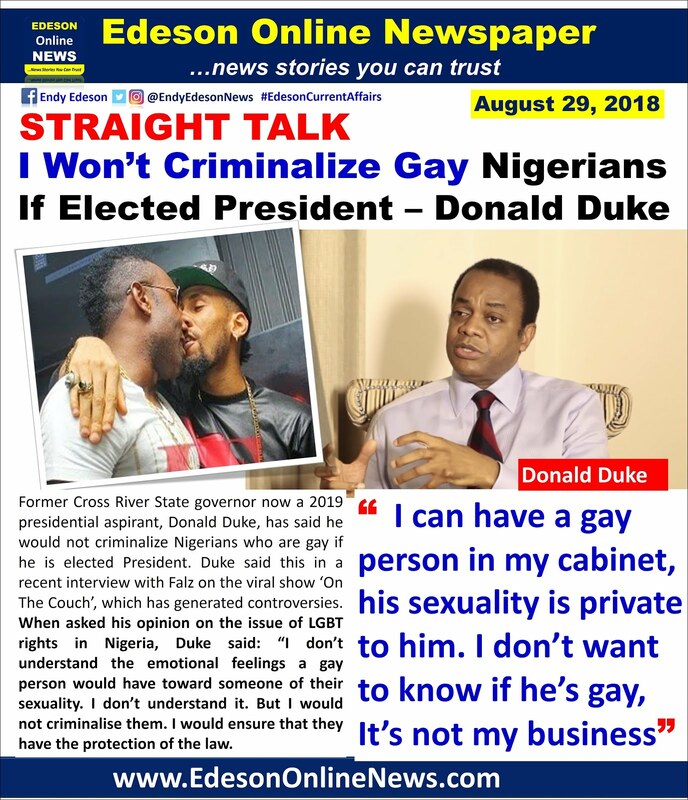 Former Cross River State governor now a 2019 presidential aspirant, Donald Duke, has said he would not criminalize Nigerians who are gay if he is elected President. Duke said this in a recent interview with Falz on the viral show ‘On The Couch’, which has generated controversies. How are u people sure he said it? Hope this is not political tactics to bring down his reputation. He should not waste his resources. Oga with dis in mind,even your family members will not vote for you....sodommatic mindset..